profile the lyrics of Hello! Project songs! Asai: This time around, we got the staff to recreate with us the foot bath picture of the four in Morning Musume ’15’s 9th generation when they went to Ooedo Onsen Monogatari last November. Yuzuki: Honestly, I liked that whole episode of those four so much I could write a novel about it. Men like to talk about how scary female friendships are, but really: what girls do is we slowly try to figure out each others’ personalities while keeping an appropriate distance between each other, and we do that in order to be able to keep lasting relationships. 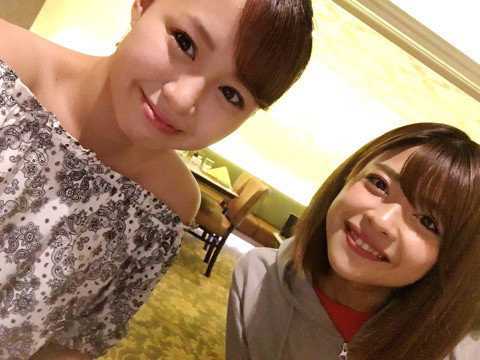 Yes, seeing the nonchalant friendship between Kago-chan and Tsuji-chan or the neverending chatter in Berryz Koubou also made me think “now this is what I want to write about!” But the whole “Eri can’t” incident really reminded me of the roughness that girls going through puberty can display. Asai: Maybe we should explain to the readers what that whole thing was about. So the four girls in 9th generation were talking about going somewhere together before Sayashi’s graduation, and they were just about to decide on Disneyland. Ikuta broke an earlier promise to meet her friend just so she could go. But then Sayashi said how “going to Disneyland just for a quick visit would already make it feel like we’d been there,” suggesting they only spend the morning at Disneyland before going to karaoke in the afternoon. Asai: Fuku-chan then tried to coordinate things. 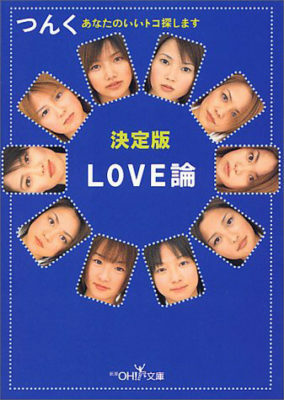 She thought of places where both Eripon and Sayashi would be happy going to, but when she suggested Ooedo Onsen, Ikuta immediately invoked her veto rights: “Eri can’t.” Eventually, though, she cancelled plans with another friend and finally agreed — on the night before the day they were supposed to go. You! Yes, you! You right there! You might think I’m just a child because I’m a junior high schooler, but you might be surprised by how mature us junior high schoolers are in the way we think and the things we think about. The general public sees 13-year-olds as being pretty much fetus-level (I don’t know if that’s the right word for it. I mean, people don’t think we’re even at the “infant” level yet. In any case, what I mean is that people still think of us as complete children! ), but we’re actually thinking about things quite deeply! Even if we don’t say it out loud! Sasaki-san really agrees with me whenever we talk about this topic. I love Sasaki-san. Katsuta-san probably thinks of me as this tiny, tiny little sister of hers. Wada-san sees me maybe as something like her niece? (I’m not sure.) But just so you know: I’m an adult, too!! I started laughing around the lines she was talking about Sasaki. This is the definition of a child acting like a grown-up. They must’ve been returning from a night out drinking. This must be something that could only be felt by someone who has a decade of experience behind them. Five years isn’t too soon at all. If anything, ten years is an abnormally long time to be an idol. The problem is the soul-draining handshake events. It’s a different time now. Who decided that thin = pretty? It’s all a matter of taste. There are certain people out there who absolutely refuse to drive anything but German cars. You know the type, right? They’re the ones who tell you they couldn’t care less about American or Japanese cars. Personally, I don’t mind if my car is Japanese or American or German, as long as it’s convenient and I like it. But it really is just a matter of taste, and some people will have things they feel much more strongly about when it comes to cars. In a similar fashion, there are some guys who only like girls who are skin and bones. When the average girl sits down and they’re slouching a little, I’m guessing they’ll have that one roll around their stomach, right? But when you’re talking about the type of guy who only accepts the girls who are skin and bones, even that single roll would be a deal breaker for them. They can’t even accept squishy arms, from what I hear. Guys like that could never sense even a hint of the good in women like Saito Yoko or Mitsui Yuri. I could be showing them a picture, going “Look! Just look at that! Do you see that?! Is that hot or what? !” But no matter how passionate I might be, it wouldn’t get through to them. They’d just respond all unimpressed: “man, what’s the point if I can’t even see her ribs?” Any amount of breast development? Forget it, they couldn’t care less. I don’t get that way of thinking at all. Do they have a sense of fear towards any girls who have a bit of fat to them? Are they afraid they might get eaten by them or something? Thank you for these past 12 years. You were all very cool, cute, powerful, beautiful, and dazzling until the very end. Your final concert made us forget that this was the end. Thank you for being such enchantingly cool seniors to me! If I’m being honest: for me, Hello! Project ended today. I’m going to treasure its memory in my heart forever. Saying it like it is. Manly. Women who can brag about themselves with class are the best! When it comes to women and bragging, it feels like the topics they brag about are mostly limited to their possessions, their boyfriend, how rich they are, how popular they are, how great they look… that sort of thing. Right? When there’s a girl by my side bragging about something, it’s probably safe to say I’m only pretending to be listening to them most of the time. I’ll be nodding my head while thinking about something entirely different. Or, I’ll be listening intently, trying desperately to find something in what they’re saying that I could use to steer the conversation in a different direction. I’m not alone — I feel like this kind of reaction is something that comes very naturally to men. That’s because there’s some part of us that just thinks, “what’s the point in listening to someone brag?” Maybe if it was a guy who’s exceedingly nice to women, or just really, really devoted, he might actually listen. And not only that — he’d probably praise them to high heavens. By and large, however, most men will only think “mmm” in response. With most women, their bragging is just that: bragging. It doesn’t lead to anything; there’s no conclusion. That feels unsatisfactory to us men, and we’ll be busy struggling to come up with a fitting reaction. I sometimes wonder: if you’d just finished listening to some girl’s long-winded, boastful story and you were simply to ask them “…and?“, what on earth would their answer be? Unstable women have an unpredictable future! Folks who have their own set of policies in life are the people who, even if something about their fashion or their way of life or something else about them sticks out like a sore thumb, are able draw others to them with the sheer intensity of their personality. But total unpredictability — completely defying one’s expectations — is another quality that draws people in just the same. To me, Morning Musume’s Ishiguro Aya is someone who has that sort of unpredictability about her. To put it in other words: I think Ishiguro is a very unbalanced person. If the average person was to take a look at Ishiguro, they might attempt to place her in a certain category. “Ishiguro is this type of girl.” But I believe placing Ishiguro firmly in any one genre would be a challenge. On the outside, Ishiguro just looks like your average, pretty young lady. But she is not your average, pretty young lady. In a weird way, there’s actually something about her that makes her come across more like a middle-aged man — I probably wouldn’t be surprised at all if I saw her with a red pencil behind her ear and a horse racing paper in hand, screaming her head off at the race track.